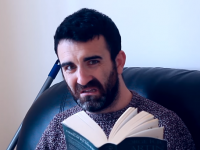 A TRALEE comedian who posted a video of why he hates rugby has received a mixed response to say the least…but he has got over 31,000 views so far for it! Shane Clifford has been posting up some very funny stuff over the past few years and his latest, in which he describes the rugby fan you would find in a pub, has provoked a great response with some people taking his view to heart in the 800 comments underneath the Facebook video. I’m a rugby fan and I enjoyed that! Well said. I don’t get the appeal of rugby. Bunch of fellas with huge necks running around in short pants puttin their hands around their arses.